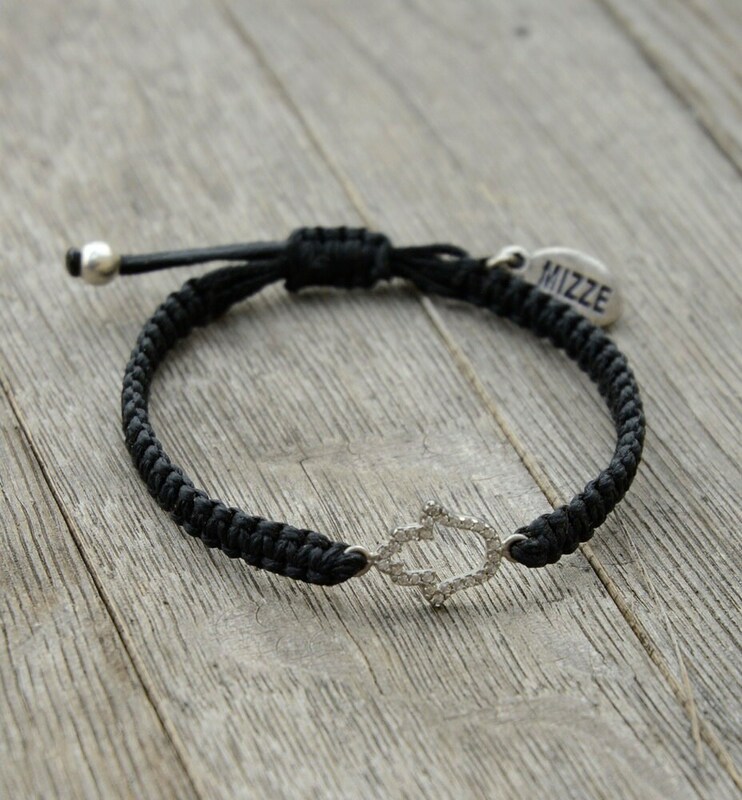 This is a Sterling Silver Hamsa with CZ (Cubic Zirconia) stones on hand-knitted bracelet. 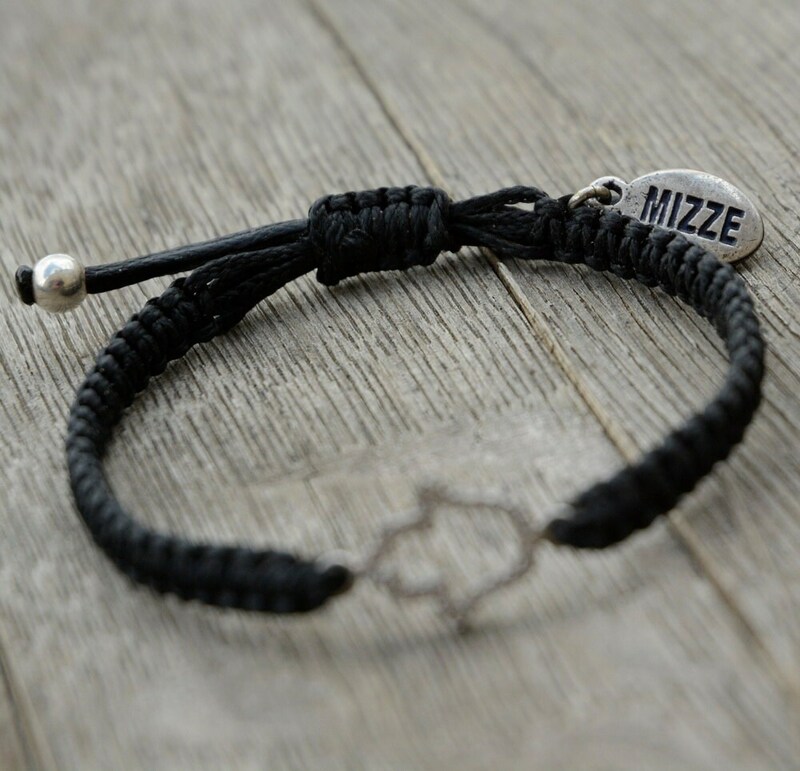 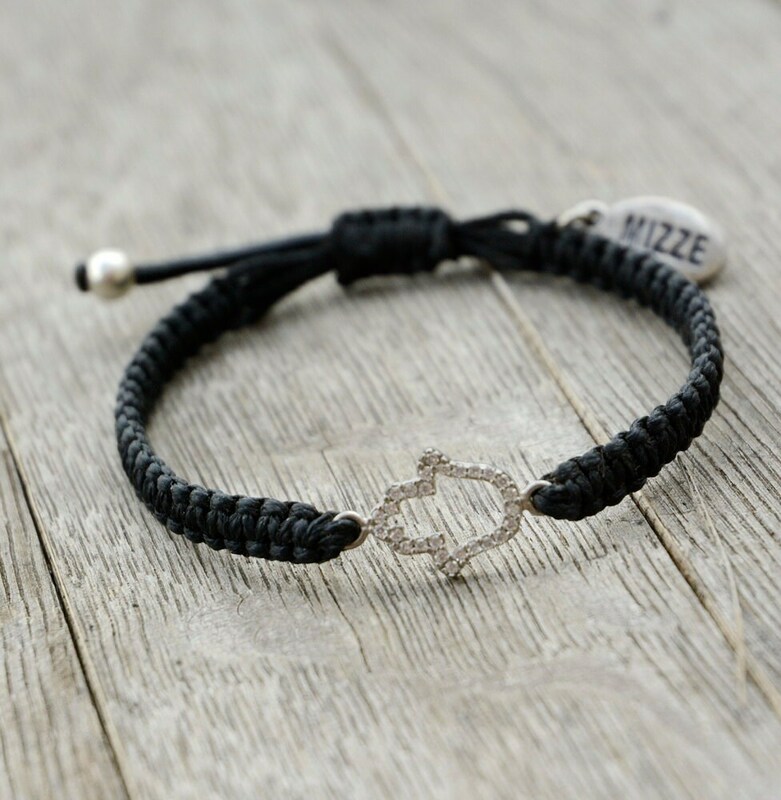 The bracelet is handmade in Israel. 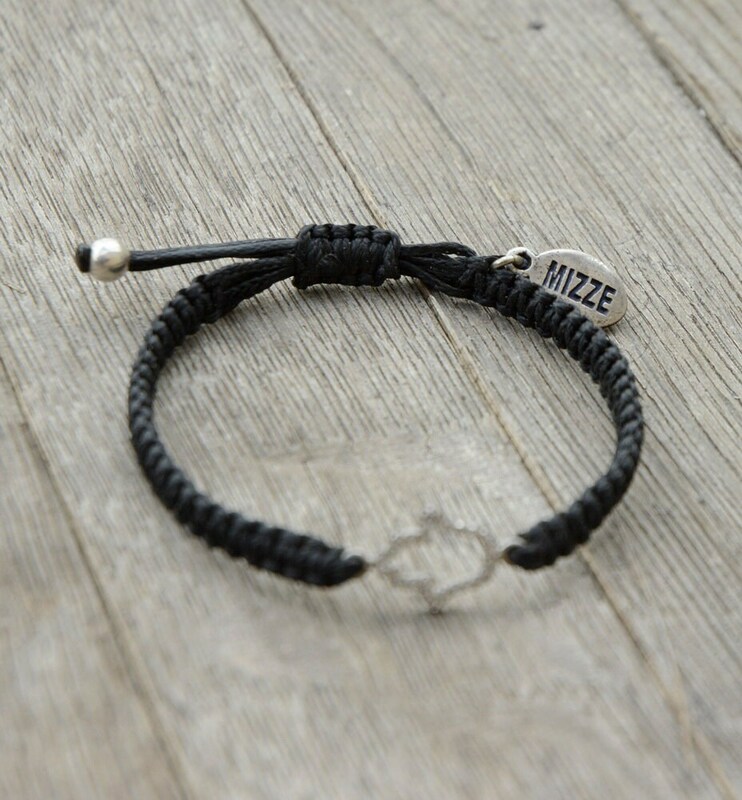 The bracelet is available in a variety of colors (6 colors to choose from) and is adjustable to fit all sizes. 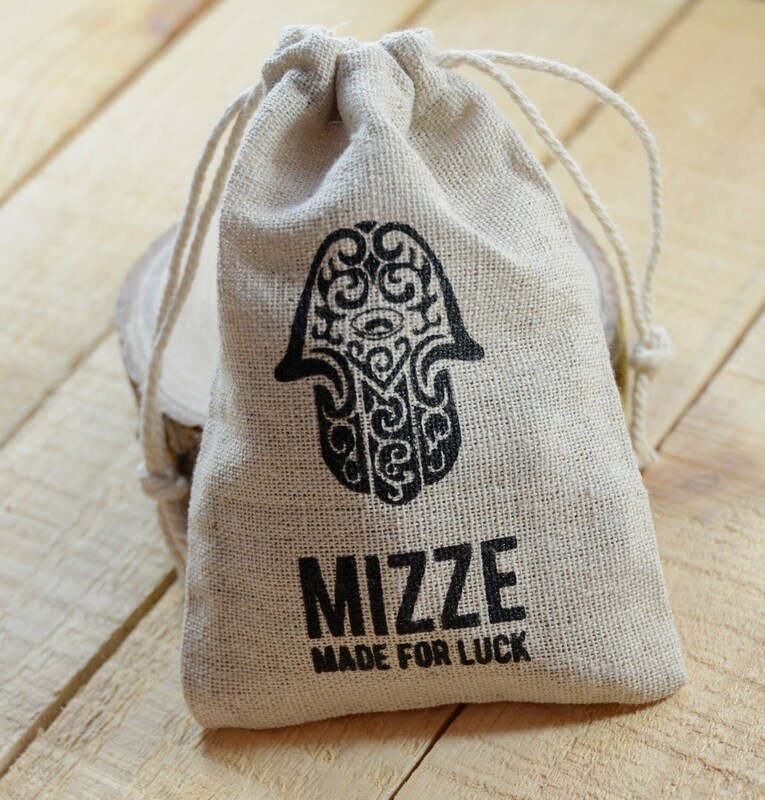 Also available with a gold plated Hamsa.